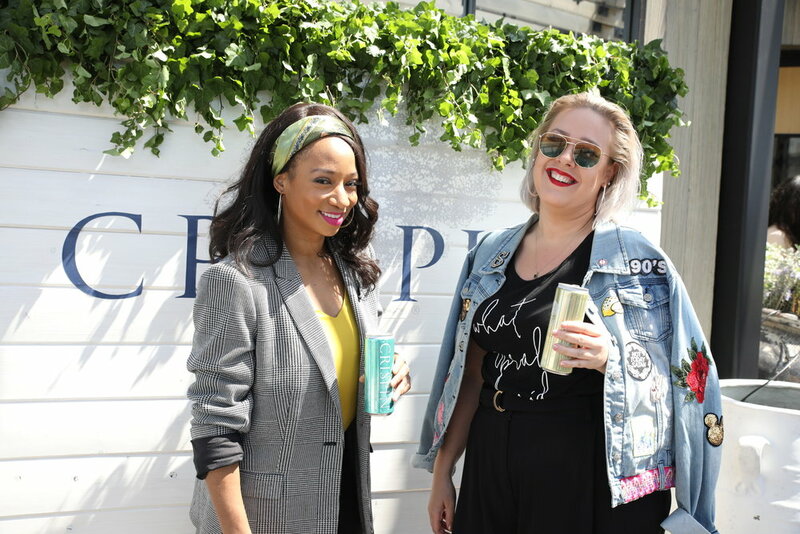 This post was done in paid partnership with Crispin Cider. Over the past few weeks, we have been on a whirlwind tour across the United States with Crispin Cider to launch their new Variety Pack! 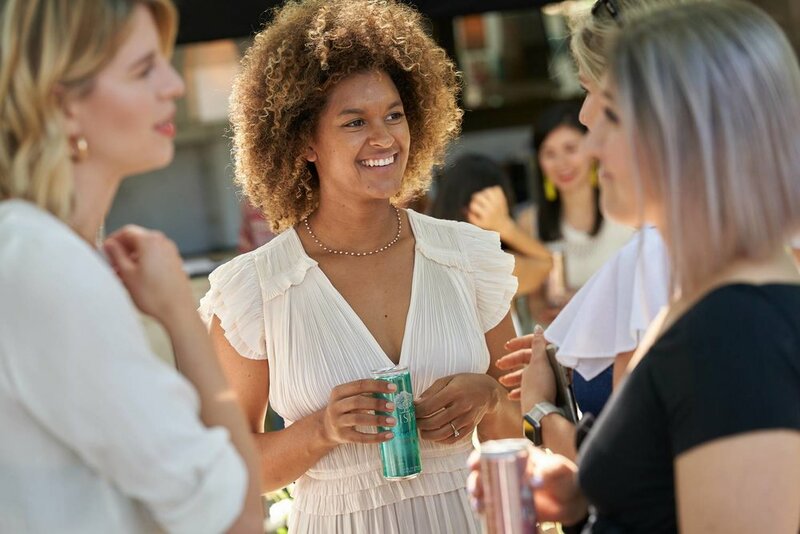 We kicked things off in Los Angeles, jet-set to New York City, and finally landed in Austin, hosting influencer brunches and building incredible new relationships along the way—and all while sipping on the refreshing wine-inspired flavors from Crispin’s new Variety Pack, including Rosé, Brut, and the new Pearsecco flavor! 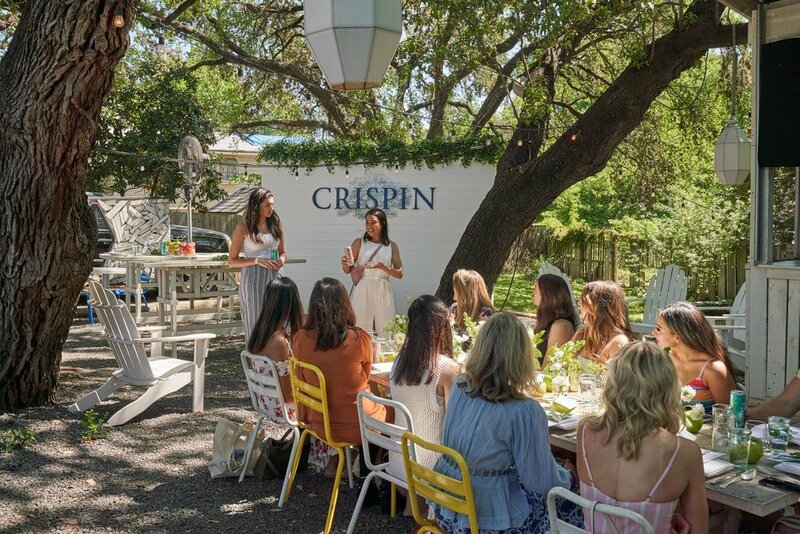 One major goal for our #CrispinxSIMPLY event series was to create a valuable experience for our attendees; not just to snap pretty pictures for Instagram, but truly enjoy the event and be present in the moment. It can be extremely difficult, especially in the influencer world, to put down the phone and do things for the experience, not just the ‘gram, but doing so from time to time will truly benefit how you see the world and allow you to appreciate life’s little moments as they happen. 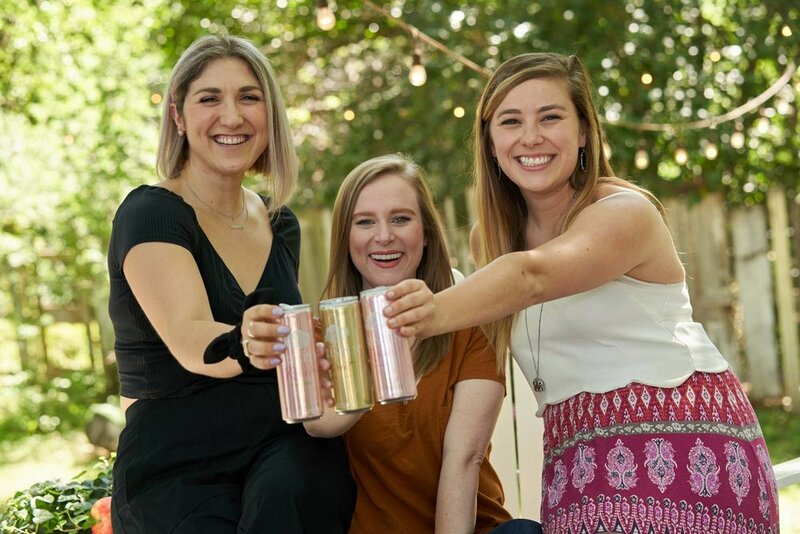 In this same vein, Crispin seeks to offer ciders that naturally bring people together and build connections. Whether it’s over brunch with old friends, a get-together with family, or a pool day with a significant other, these ciders are meant to be shared. Need your phone out? Flip it over. When it comes to your phone, leaving it at home isn’t very feasible for many of us. If you have to have your phone out, simply flip it over so you can’t see the screen. Just the simple act of turning it over helps to hide all the attention-grabbing notifications, pop-ups and noises that can get in the way of enjoying the moment. It’s an easy way to minimize those distractions so that you are spending less time looking at your phone and more time taking in your surroundings. When it comes to taking photos at events and documenting your experience, consider capturing your content in the moment, but not necessarily posting it on social media in real-time. Snap it, save it, handle it later, and really try to focus on what you’re doing. Besides, we all know that once you start crafting the perfect caption or picking the best filter, it ends up taking much longer than anticipated, and you could miss out on what’s happening all around you. Wait until afterwards to post and you’ll be able to perfect your content AND have fun, too! Learning how to appreciate who you're with or where you are is so valuable—especially in this era of the “always on” mentality. That means taking time to pause and notice your surroundings, appreciate the people that you're talking to, and think about all the little details of what's going on in front of you, versus zoning out and running through your to-do list in your head, for example. Seeing the beauty in everything around you is another way to really ground yourself and be in that moment; the more you notice, the more beautiful and vivid your memories will be when you look back on them later. Another big tip is actively listening and making an effort to truly listen to the people that you're with. That means not just hearing what they have to say immediately responding, but actually concentrating: digesting what they’re saying, looking them in the eyes, paying attention to their tone and body language, and really listening to them. Didn’t catch what they said the first time? It happens! Don’t be afraid to ask them to repeat themselves (but try to limit that ask to once or twice during a conversation). People notice immediately if you are truly engaging with what they’re saying. Learning how to say “No”. This one seems kind of counterintuitive, but saying “no” can be really powerful. 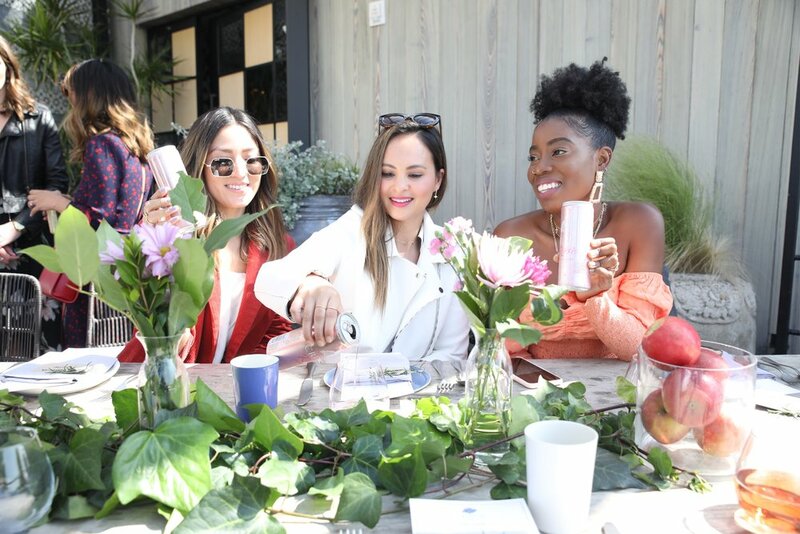 I run into this issue a lot, as I feel like I have to fill up my social calendar and say “yes” to everything that comes along, but know that you can say no to something if you feel like you're really swamped or you have too much going on. Many times, you can delay these things and schedule them for a time when you know you're going to be more available, both physically and mentally. I would rather say yes and commit to something farther out and know that I have it on my calendar where I can plan for it and it's spaced out nicely with everything that I have going on, versus always jumping from one thing to the next. It becomes an unnecessary stressor that you bring on yourself. If you have a hard time not booking the next available time slot on your calendar, put some “me time” on your calendar to train yourself to leave time to decompress. Last, following up is huge. My maid of honor is so good at this; we could have just met up for lunch or done a workout class together—doesn’t matter what it is, really—but taking a minute out of your day after hanging out with a friend and sending a quick text means the world. It could be as simple as saying, “Hey, it was awesome to see you, good luck with XYZ!” Say thank you or refer to something you talked about earlier. It’s such a nice, thoughtful gesture that shows you care and goes such a long way.